This is the second batch of legally produced Vodka in Pendleton Oregon. We worked with United Grain and Eric Kopp to source surplus hard red winter (HRW) wheat from La Grande Oregon area. The variety of HRW is LCS Jet and was a beautiful dark red color with plump wheat berries which you find with irrigated wheat. This batch was bottled the day before our grand opening November 19th 2016. 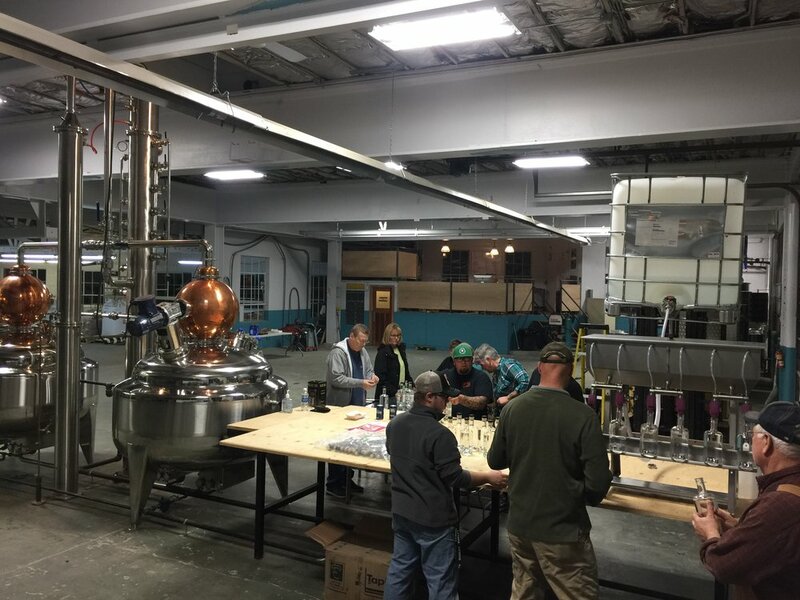 Bottling Crew: Kelli Bullington, Judy Bracher, Vickie Read, Carrie Bowers, Ginger Reiff, Geoff Reiff, Cary Ford, Nolan Kennedy, Joe Ford, Hugh Tucker, Cliff Bracher, Rodney Bullington, Truman Bullington, Barley and Chester the Distillery Dogs.